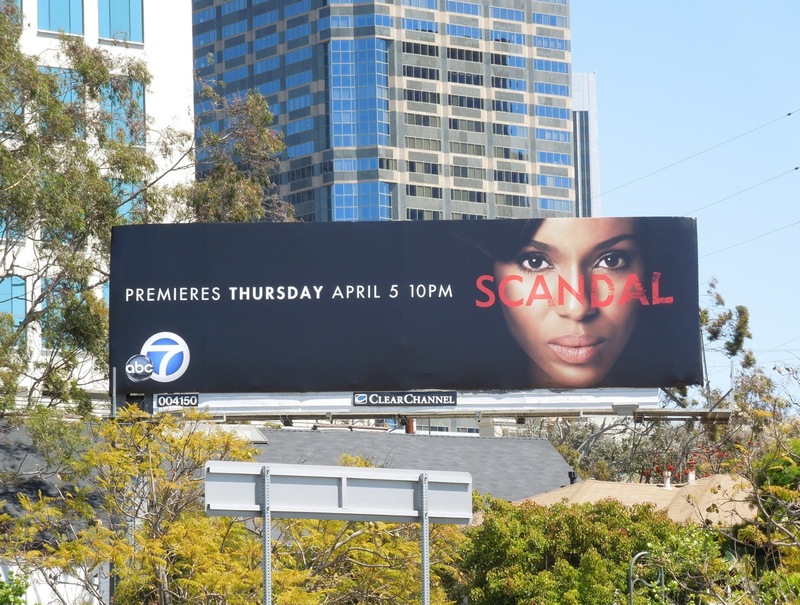 Daily Billboard loves the simplicity and the striking visual impact of this billboard for ABC's new television drama, Scandal. 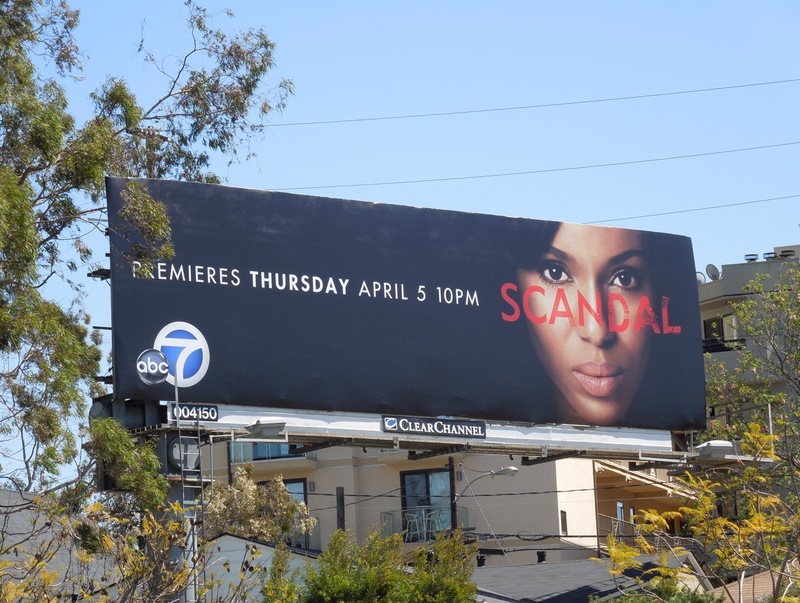 Kerry Washington stars in Shonda Rhimes new show 'Olivia Pope' and her crisis management and damage control team of professional 'fixers'. 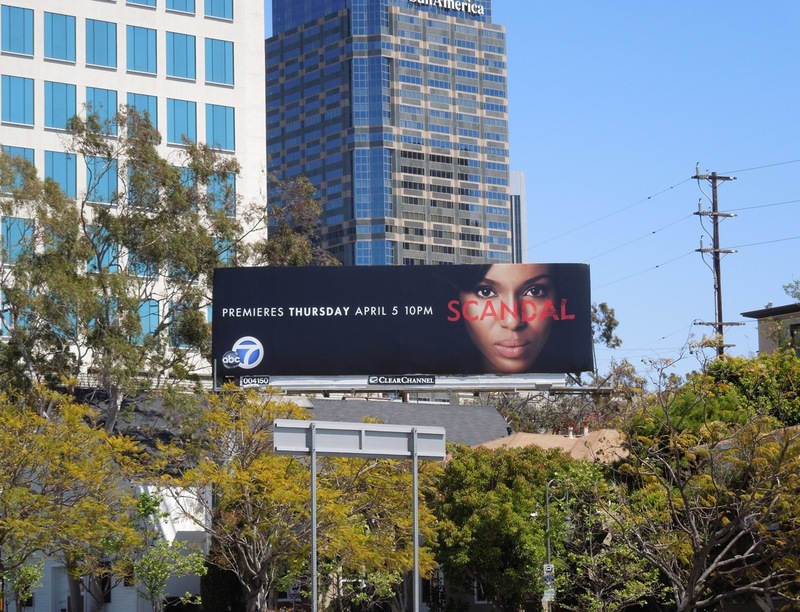 The question is, can the Grey's Anatomy and Private Practice creator do for politics and the business world what she did for medical dramas. 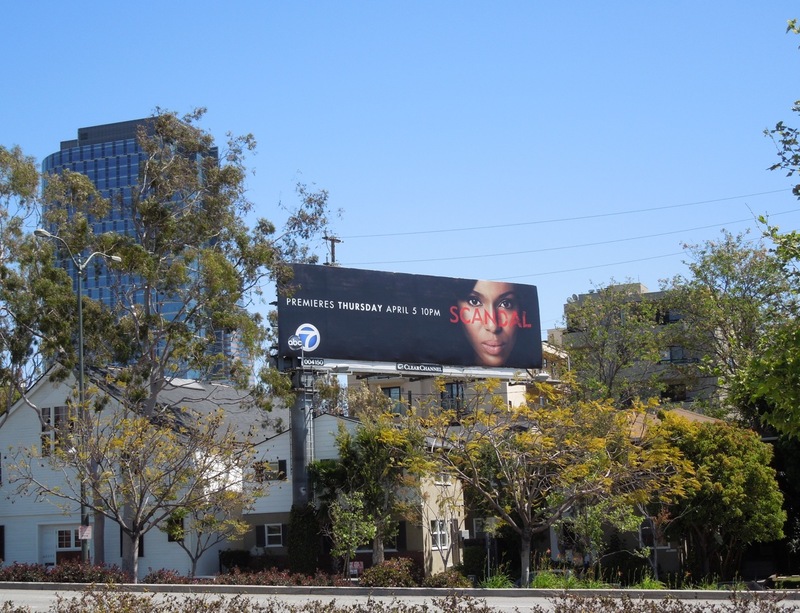 This arresting billboard was snapped along Santa Monica Boulevard in Century City on April 1, 2012. 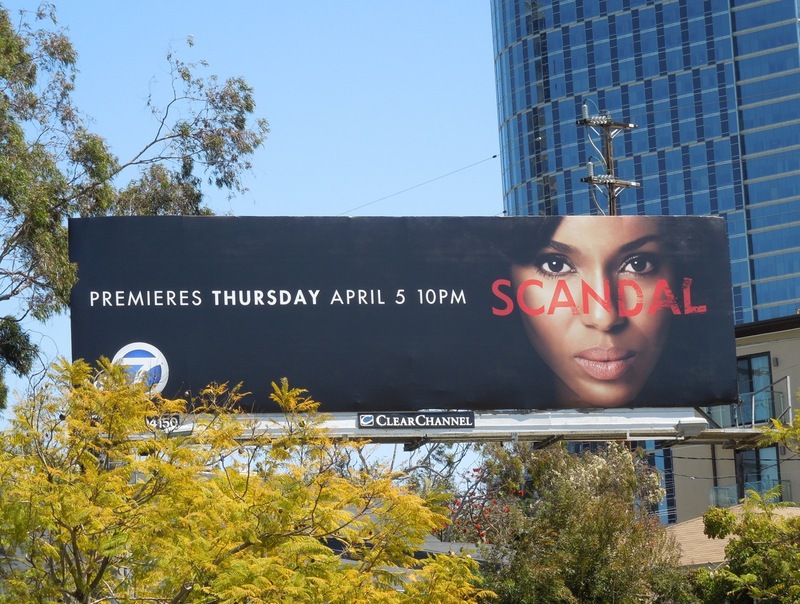 UPDATED: Here's another scandalous billboard, this time for Olivia Pope's shocking second season, spied along Melrose Avenue near Paramount Studios on July 3, 2013. 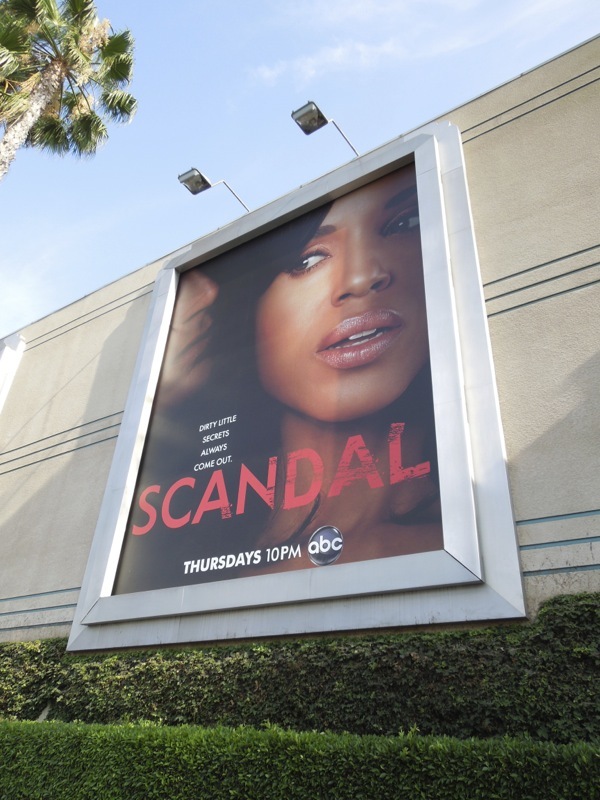 After the surprising season two finale when the crisis management expert was revealed to be the U.S. President's lover to the public, what could possibly happen next on this guilty pleasure series. 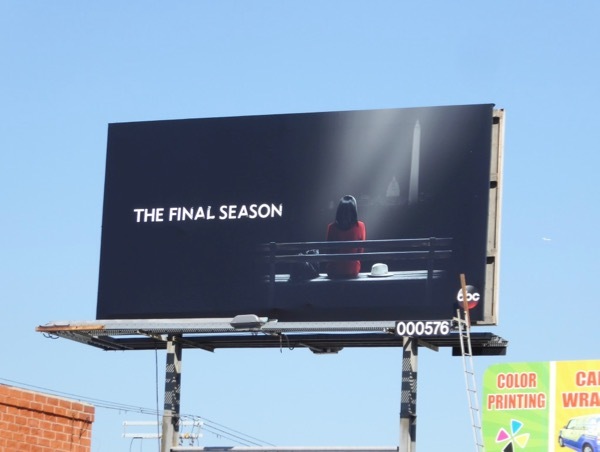 UPDATED: All good things come to an end and 'Olivia Pope' and her 'white hat' Gladiators are back for a final seventh season with this billboard snapped along Highland Avenue on October 6, 2017.